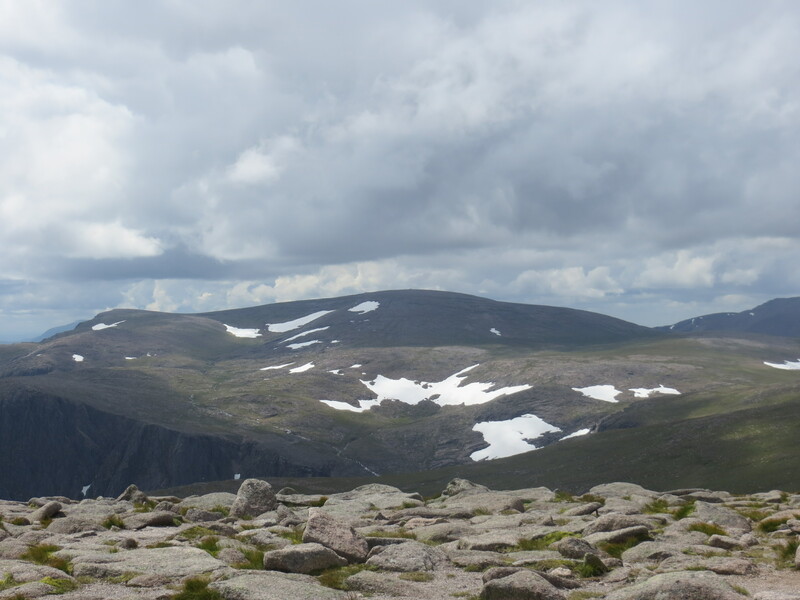 I have always wanted to visit the Scottish Highlands and I finally got my act together and went for a 6-day trip last summer 2014. We flew into Glasgow Prestwick with Ryanair, and being able to fly midweek, we managed to get return flights from Dublin for €30. What a bargain! 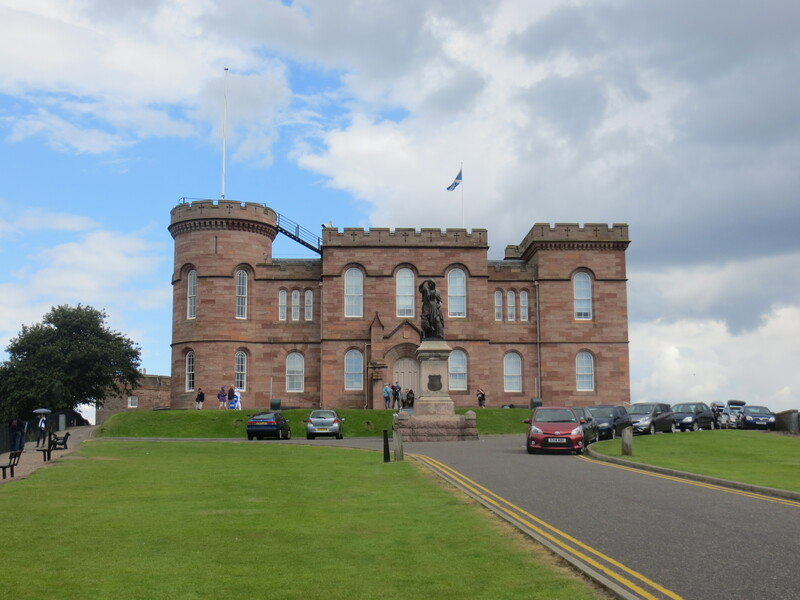 There is so much to see and do in Scotland that it was difficult to plan an itinerary for the six days but we decided to visit Iona, the Cairngorm mountains and Inverness. 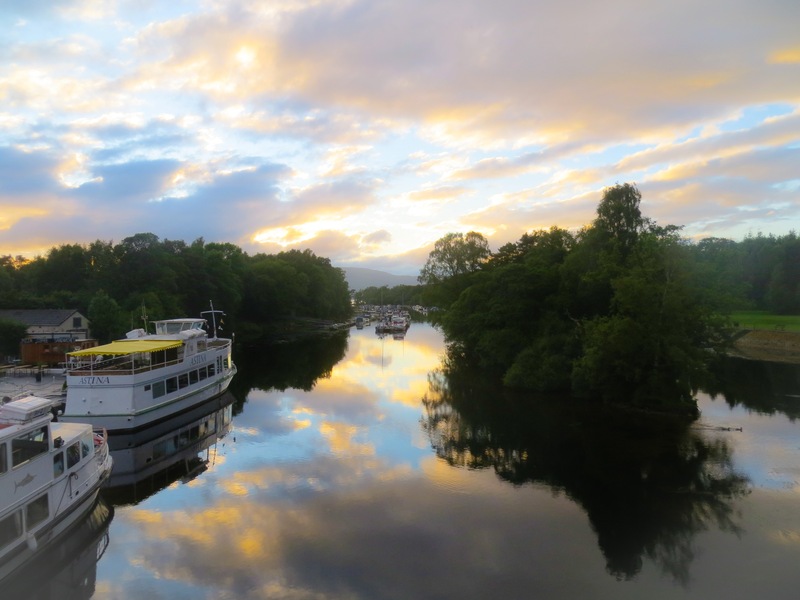 We hired a car at Prestwick and after we arrived on our evening flight, we drove to Balloch (often referred to as the gateway to Loch Lomond) where we stayed overnight and enjoyed the spectacular sunset. 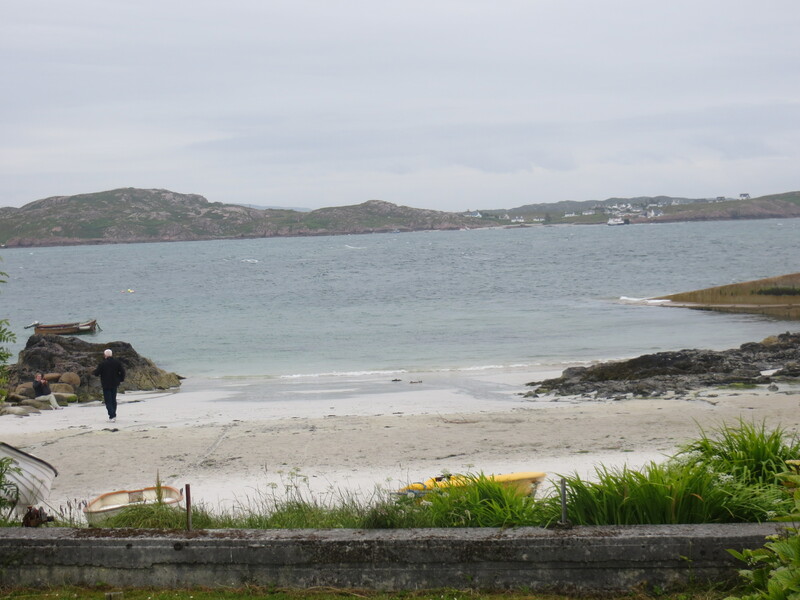 The next day we were travelling to the island of Iona, so we had an early start for our drive to Oban. If your time in Scotland is short, it really is essential to hire a car. 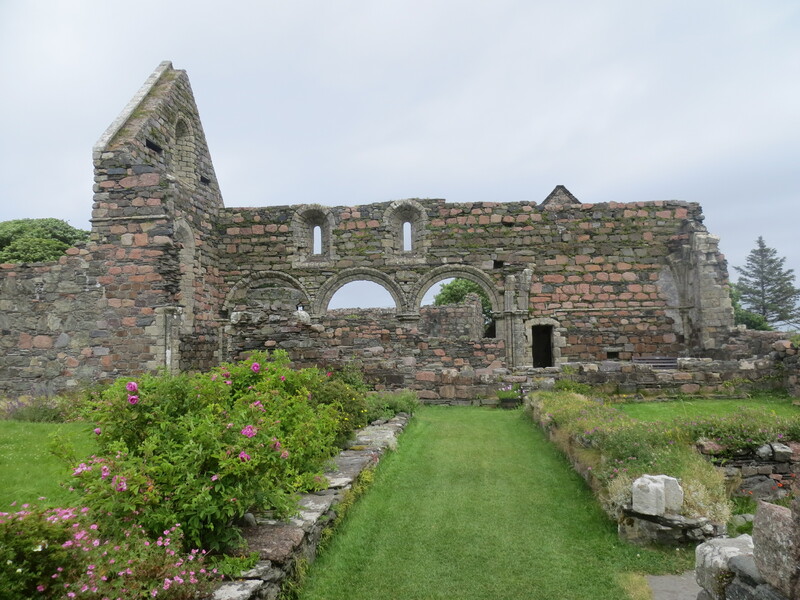 Had we been depending on public transport, we would have had to overnight in Glasgow on arrival, travel to Oban by train the following day and been unable to visit Iona until the next day. We also would have had to overnight a second night in Oban as the trip to Iona ends late in the evening. 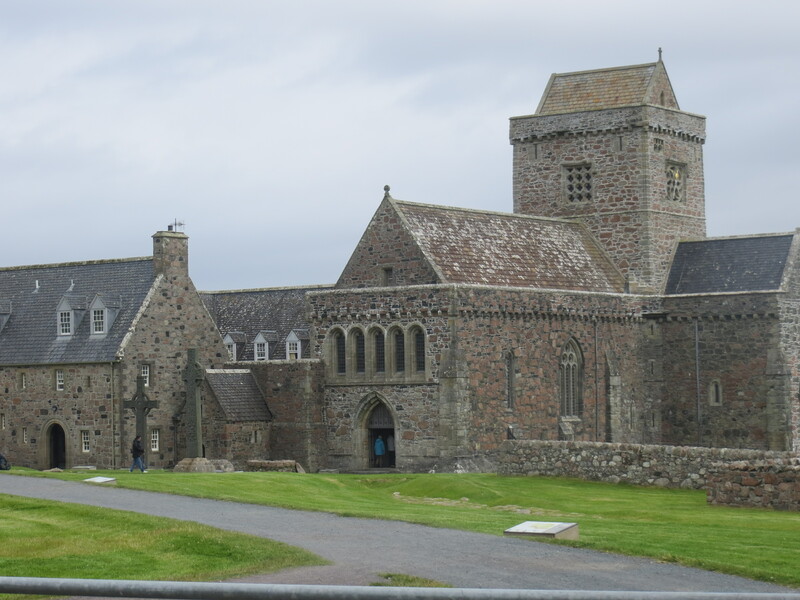 We bought our trip to Iona with West Coast Tours (based in Oban). You can book online but need to pick up your tickets from their office in Oban. 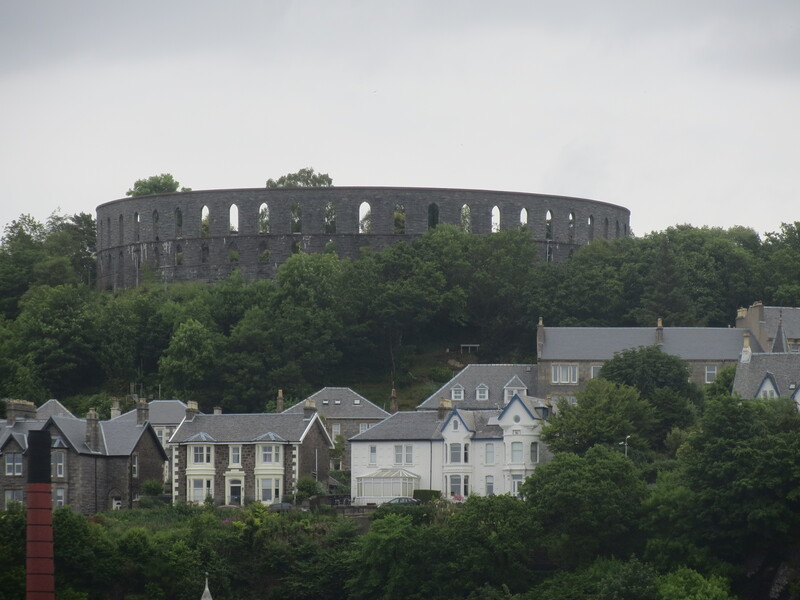 The office is in the centre of the town, close to the ferry terminal and you can park your car in the towns Central Car Park for £5 for the day. The tour we booked cost £40 each. This included return ferry tickets from Oban to Craignure on Mull on the Caledonian MacBrayne ferry, return tickets for a 1-hour coach trip on Mull from Craignure to Fionnphort and return tickets on the ferry from Fionnphort to Iona. 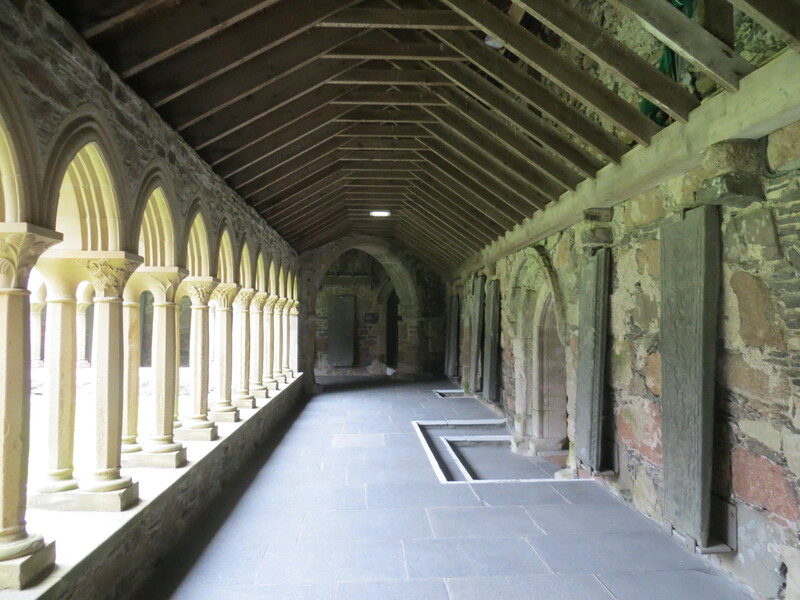 The tour allows you around two hours to spend on Iona. 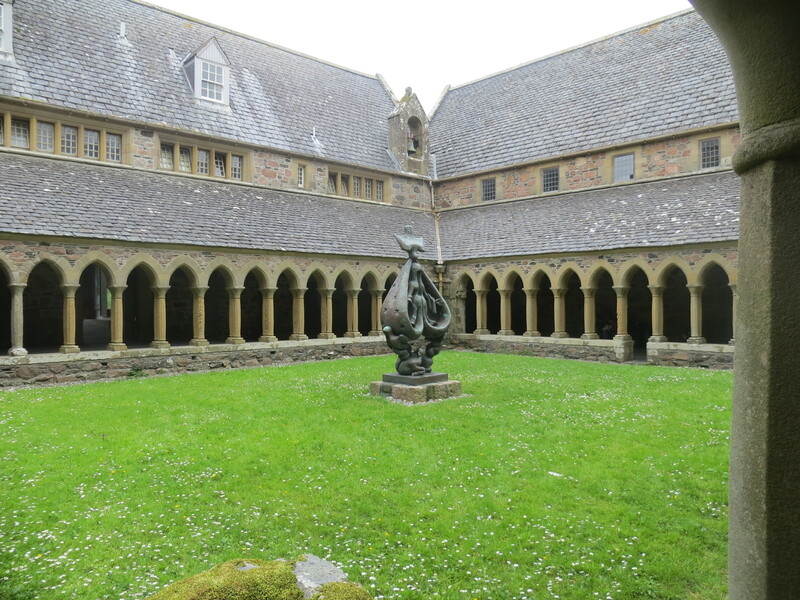 Although this sounds like a long time, it is tight enough if you want to see the Benedictine Nunnery, the Abbey (founded by St. Colomba), avail of a guided tour, visit their shop and museum and get some lunch. The tour company also offers other tours, one of which allows you to also visit the island of Staffa. Given the timings, I am glad we opted for the two island only tour, as I can imagine it would all have been very rushed if we were also trying to fit in a visit to Staffa on the same day. As it was, you don’t get time to see Mull, but the drive from Craignure to Fionnphort is very picturesque. We would have liked to have been able to explore Mull and perhaps visit Duart Castle and do some hiking. 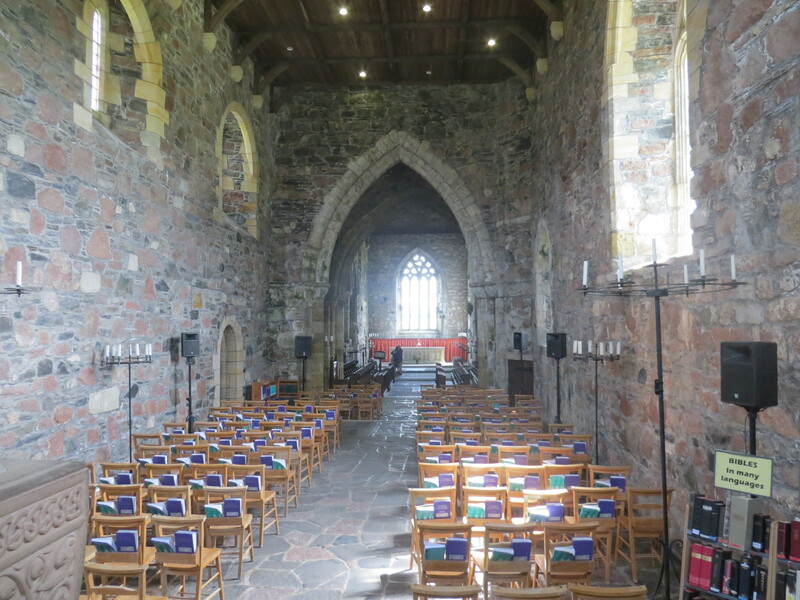 Iona really is a wonderfully remote island and we were very glad we included it on our itinerary. 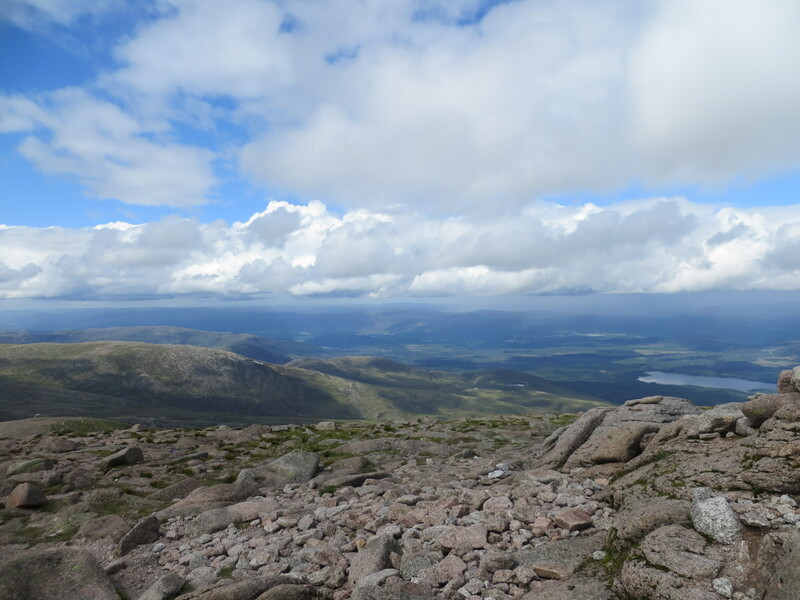 Our next stop off was Aviemore, a great base for exploring the Cairngorm Mountains. We had all day to get there and planned to stop off in Glencoe and Fort William on the way. However, it was a very wet day (our only wet day of our six days in July) so our enjoyment of Glencoe and its beautiful scenery and of Ben Nevis was very limited. We stopped off in Fort William for coffee, shopping and a visit to their West Highland Museum. 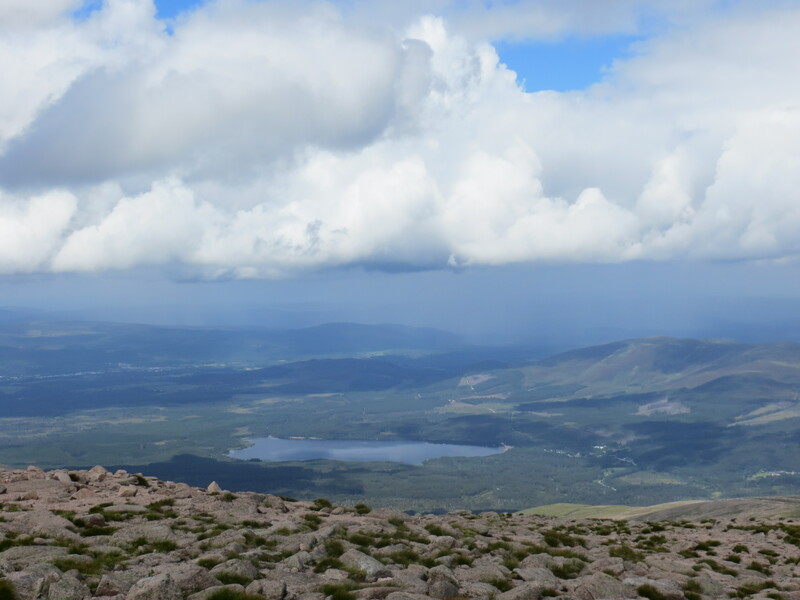 The weather had improved by the time we reached Aviemore. We stayed in the High Range Motel and would highly recommend it. The rooms are large and bright, have everything you need, are very clean and the rates are very reasonable. There is no breakfast however there are tea and coffee making facilities in the room. There is also a lovely Italian restaurant on site – La Taverna – which was absolutely buzzing the night we were there. 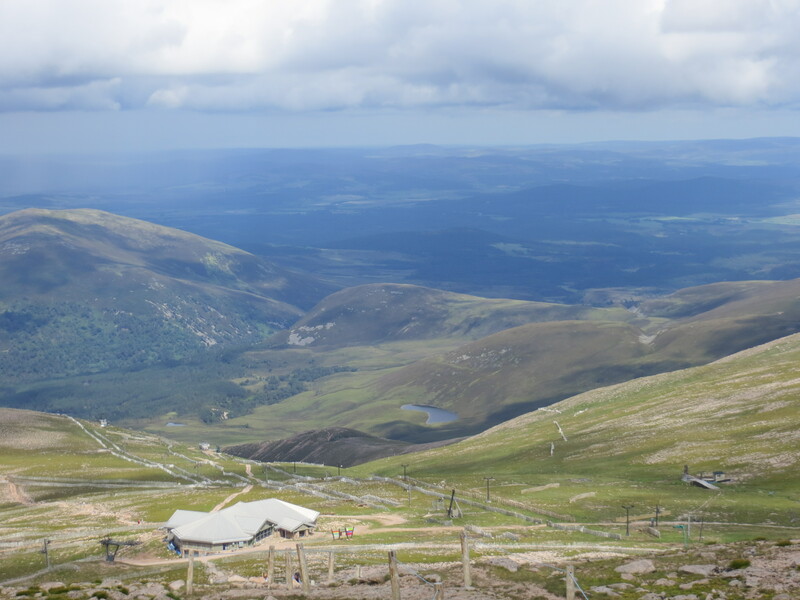 Aviemore really is a resort town for all the Cairngorms have to offer and the pubs are lively at night. The next morning we were up early for our trip up the Cairngorm Mountains. 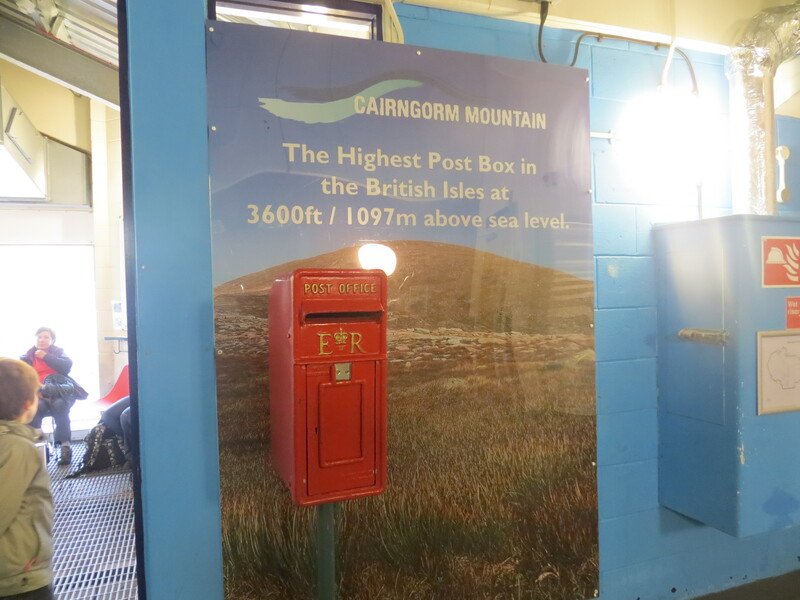 You can get a Funicular up to the mountain top to the Ptarmigan Station (3,600 ft), where there is a viewing terrace, a shop, an exhibition and also both the highest restaurant and the highest post box in the UK! 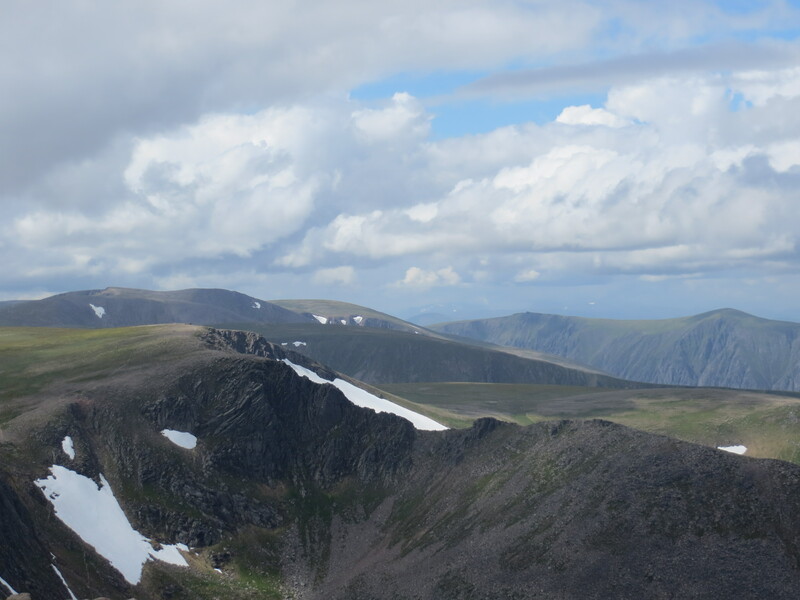 You are not allowed out on the mountain from the Ptarmigan Station unless you have booked a guided walk. I thoroughly recommend doing the guided walk. You will be itching to get out on the mountain once you get there. The walks are guided by a Ranger, are kept to a gentle pace and the views once you get to the top are spectacular. 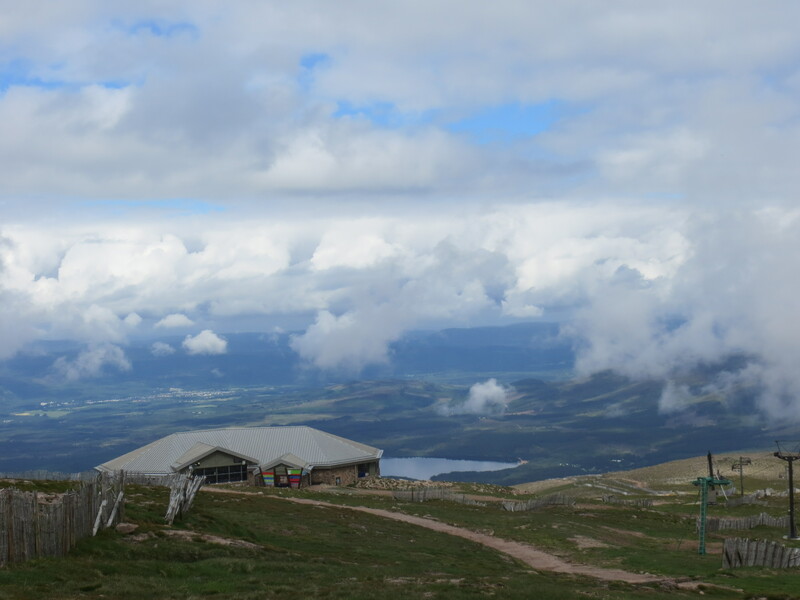 We were very lucky as the visibility was very poor whilst we were ascending in the Funicular, but the weather cleared and we had perfect conditions for our walk and a clear view from the mountain to enjoy. 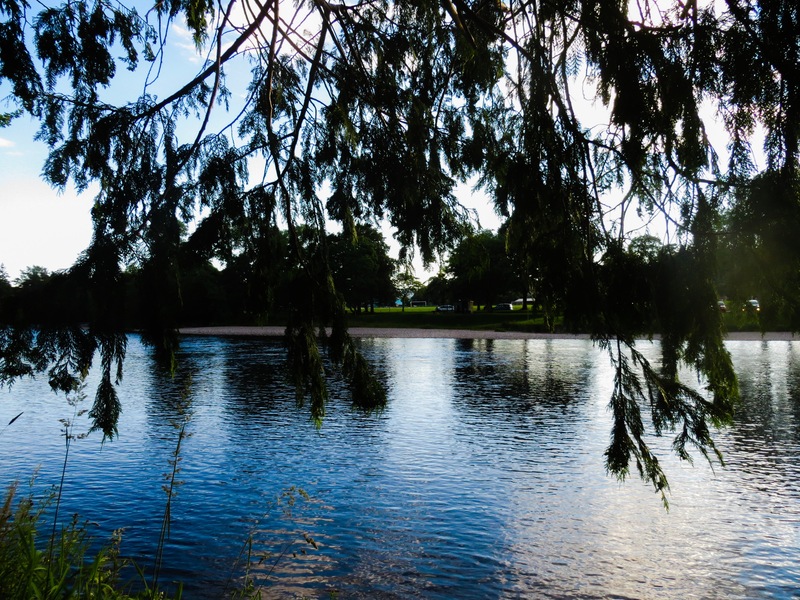 Our next stop was Inverness, a short drive from Aviemore. 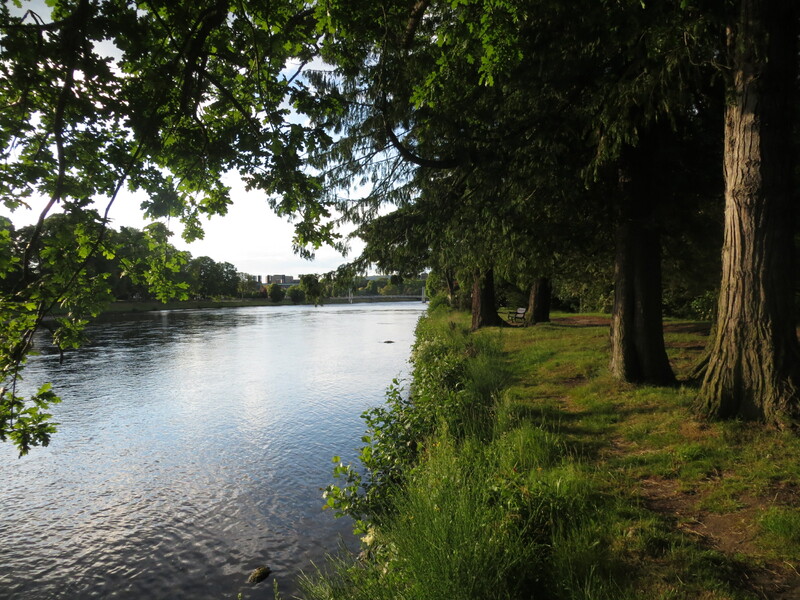 We stayed at the Glen Mhor Hotel which is ideally located on the banks of the River Ness. You can walk to the centre of the city easily from the hotel, there is a restaurant on site also and a bar (the barman will be happy to give you a lesson in all things whisky!) and you can fill up in the morning with an excellent breakfast. 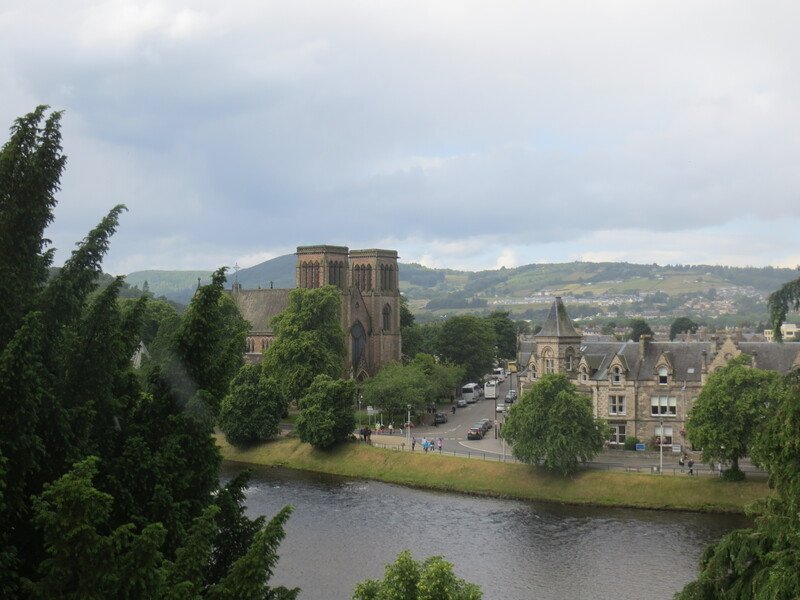 We stayed in Inverness for two nights, but really we could have seen the city in one day. 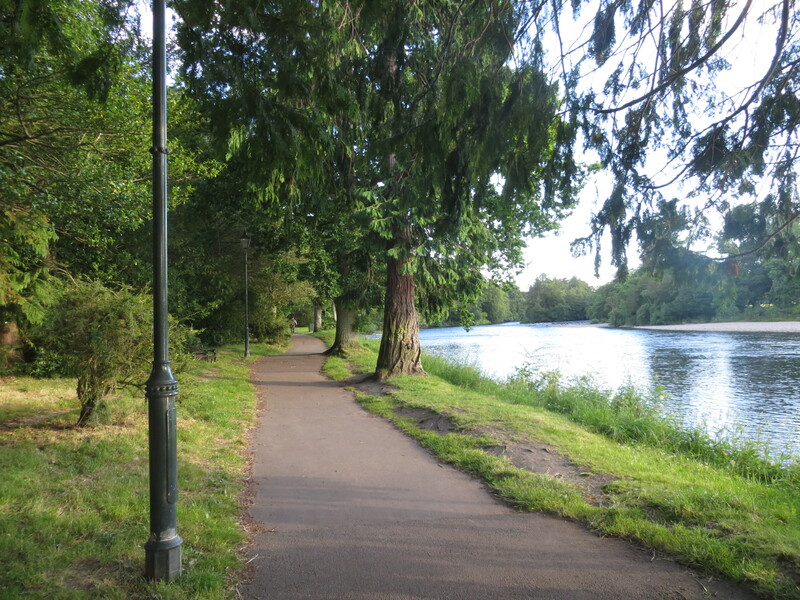 We took the open top bus, explored the shops, and had some lovely walks along the banks of the river. There are lots of restaurants in Inverness, many of them Italian, but we liked the food and vibe at Little Italy the best. 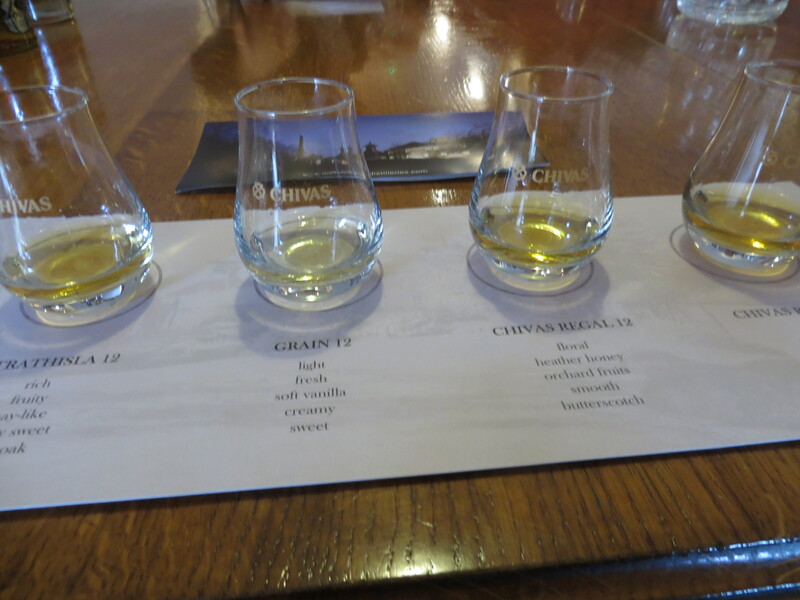 No visit to Scotland would be complete without partaking in some Whisky tasting (I loved telling the Scots that they don’t have a clue how to spell Whiskey!!). 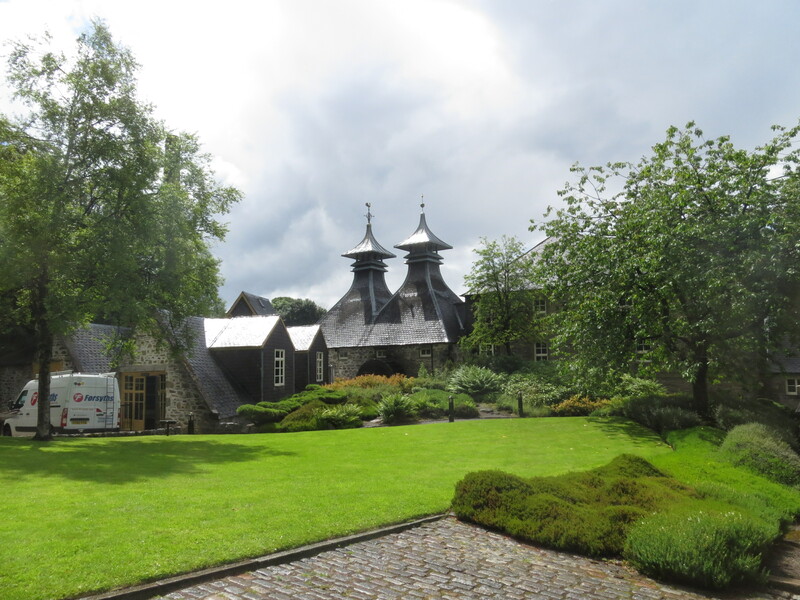 We decided to go to the Strathisla Distillery (famous for Chivas Regal) to taste their scotch. 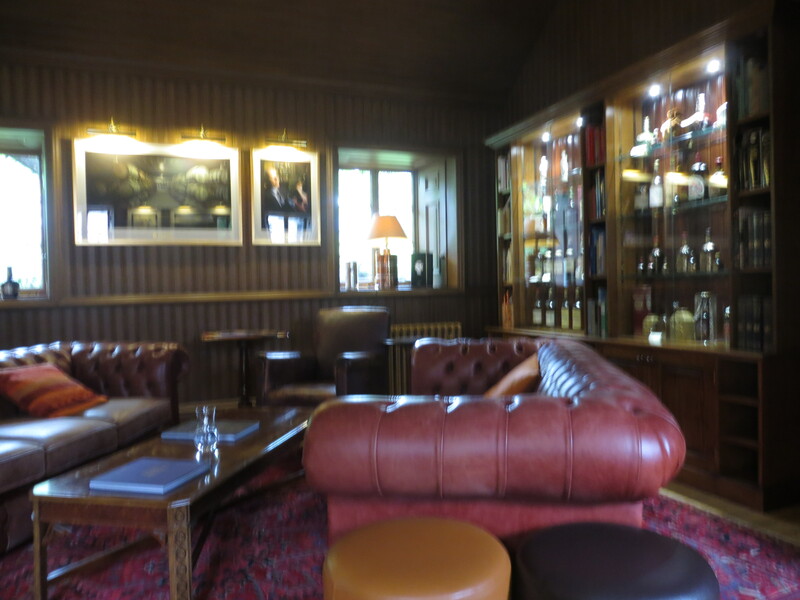 We spent a very enjoyable time there, had a guided tour and tasted four of their whiskys in opulent surroundings. They also have a shop on site where you can make purchases. If you are a golfer, you will be spoilt for choice of courses to play in Scotland. On our drive from Inverness to Strathisla, we passed the famous Castle Stuart course, where I would have loved to have watched Luke Donald win the Scottish Open in 2011. Later on whilst making our way back to the Loch Lomond region for our last night, we also passed by Gleneagles, where a few months later Europe were to beat the USA in the 2014 Ryder Cup. We spent our last night in the lovely village of Drymen where we stayed in the Buchanan Arms Hotel. This was a lovely hotel which had a really nice vibe to it. There was some renovation work going on at the time, but I am sure that has finished now. We ate that evening at the Drymen Inn where they really do know how to cook a steak to order. Superb! 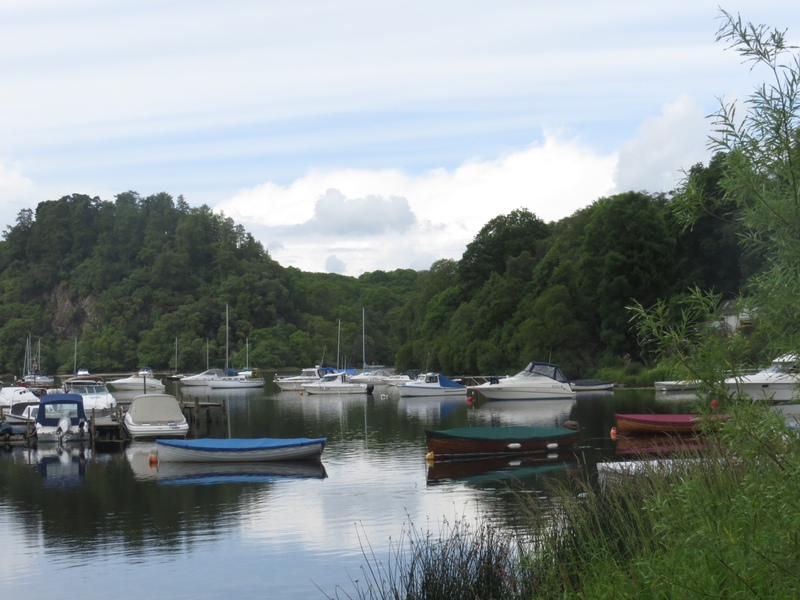 The next morning we had time for a quick trip to the nearby village of Balmaha (below) before making our way back to Prestwick for our flight home. We loved our trip to Scotland. It is easy to get around Scotland by car, its compact size means you can travel anywhere within one day. However, there is a serious lack of speed limit signs and don’t let yourself run low on Petrol/Diesel as filling stations are few and far between in some areas. 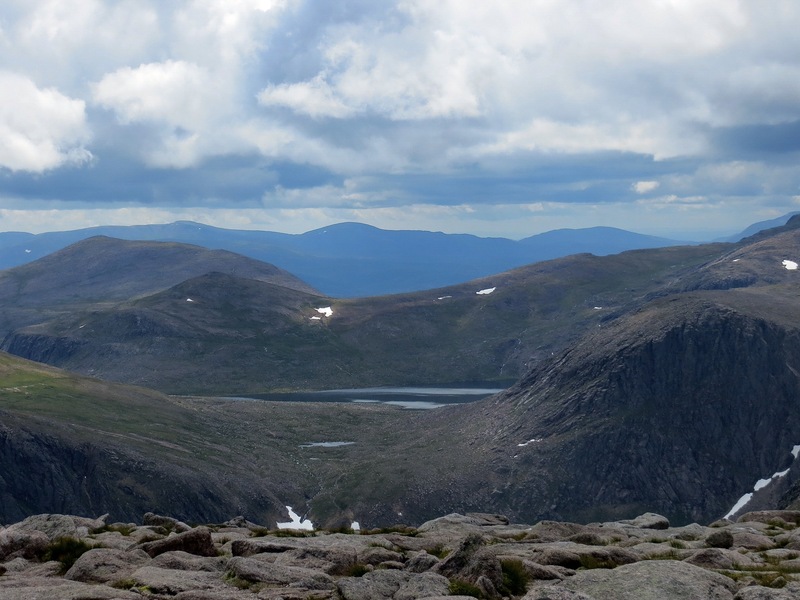 I am not done with Scotland, I need to go back again. Next time, a walking trip I think.